CAROLINA BEACH – A fence determined to be illegally encroaching on the public beach at a popular Carolina Beach park has been removed and the town has erected a new fence after a dispute with property owners that also included warnings and orders from the state. The fence private property owners put up in February restricted public access to the beach, leading the town to temporarily close the park to vehicles. The town this week installed poles and ropes in the park as part of an effort to relocate campsites and vehicular lanes, a process the town undertakes annually, according to a report in Port City Daily. 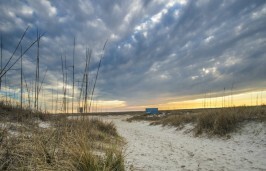 New campsites and travel lanes are established in accordance with erosion on the beach and dune buildup. A post and rope fence stretching nearly 2,000 feet on the eastern side of Freeman Park was taken down on Feb. 21. The rope was removed in the morning by the property owners whose private land is inside the park. Town employees pulled the posts after the town’s 2 p.m. deadline passed to remove them. 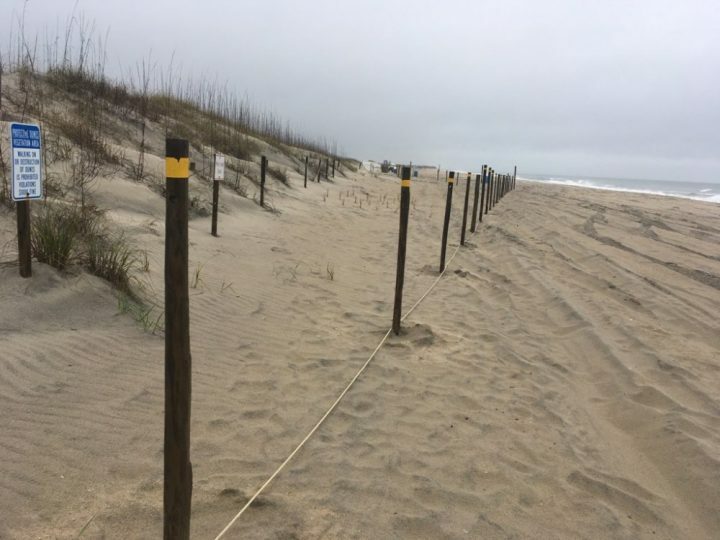 The fencing was uprooted two days after the North Carolina Division of Coastal Management’s Feb. 19 deadline ordering its removal. The division issued notice of violation Feb. 15 to Don Formyduval, manager of DRDK LLC, which owns private land inside the park. “We have no comment at this time,” Formyduval said when reached by telephone last week. 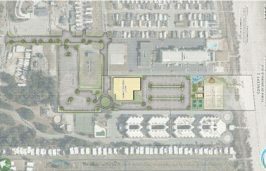 Carolina Beach officials had also, on Feb. 20, sent a notice of violation and order to Freeman Beach, LLC, a company that owns 170 acres south of the DRKD land. Elizabethtown-based attorney Clifton Hester, who is listed as a registered agent of Freeman Beach, did not return a call for comment. Citing safety concerns, town officials announced it was temporarily closing the park to vehicular traffic Feb. 14, the day the town was notified about the fencing, which blocked off freshly-placed sea oats. The fence was installed north of the town’s property at the park’s entrance. 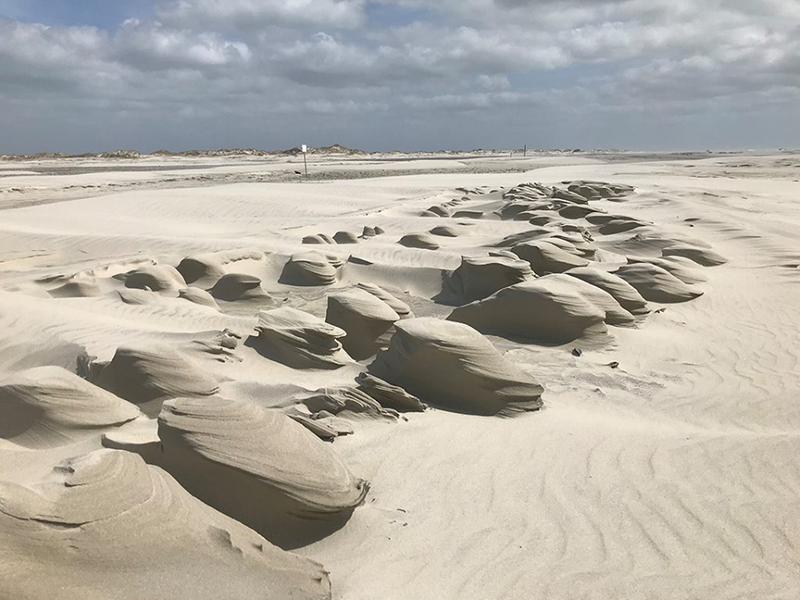 Carolina Beach Town Manager Michael Cramer told the Wilmington Star-News that Freeman Beach had the state’s permission to place slat-style sand fencing on the property to mitigate erosion. The town will bill the property owners for the work to remove the posts, he said. 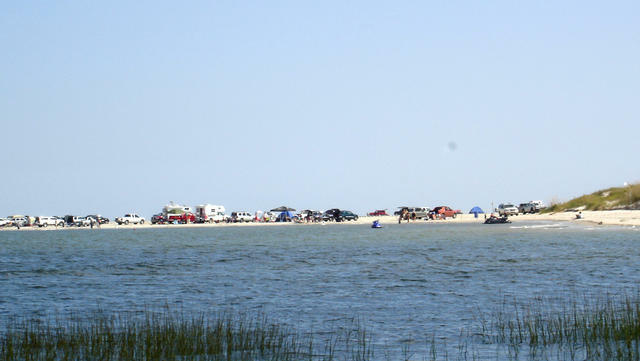 Freeman Park is a popular area that draws fishermen, beachgoers, campers and crabbers. The announcement to close the park to vehicles prompted immediate criticism. The town sells annual and seasonal permits to motorists who prefer to drive into the park. The town announced it was reopening the park to vehicular traffic Feb. 20 at 2 p.m., 24 hours before the deadline to remove the fence. 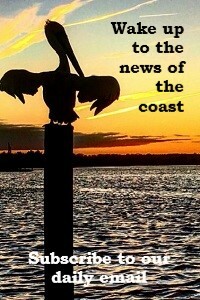 “Should Freeman Beach, LLC fail to do so, the Town reserves the right to remove the material,” the notice states. State and town officials pointed out that the fencing violated North Carolina’s Coastal Area Management Act, or CAMA, regulations. State rules allow sand fencing but specifies that fencing “shall not impede existing public access to the beach, recreational use of the beach, or emergency vehicle access. 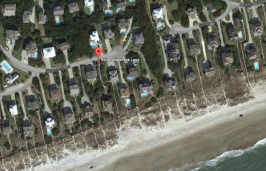 Sand fencing must be installed no farther than a maximum distance of 10 feet waterward of the toe of the front dune. The fence varied in distance from 50 feet to 150 feet waterward from the toe of the frontal dune, according to the state and town. 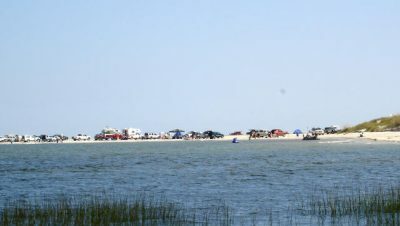 The roped-off area included more than 193,000 feet of dry sand beach, which is within a state-designated Area of Environmental Concern, or AEC. CAMA regulations require a property owner to obtain a permit before commencing with any “development” in an AEC. A letter Hester sent on behalf of Freeman Beach and other property owners may help explain why the fencing was installed. In December 2016 letter, he stated that sand dunes were being damaged by people using campsites on the beach in the park. The town responded by installing additional posts and rope to attempt to keep vehicles off private property, according to the Gazette.